Let there be no doubt about it… Team South Africa has something of a mountain to climb if they are going to get close to emulating their achievements at the 2012 Paralympics in London. 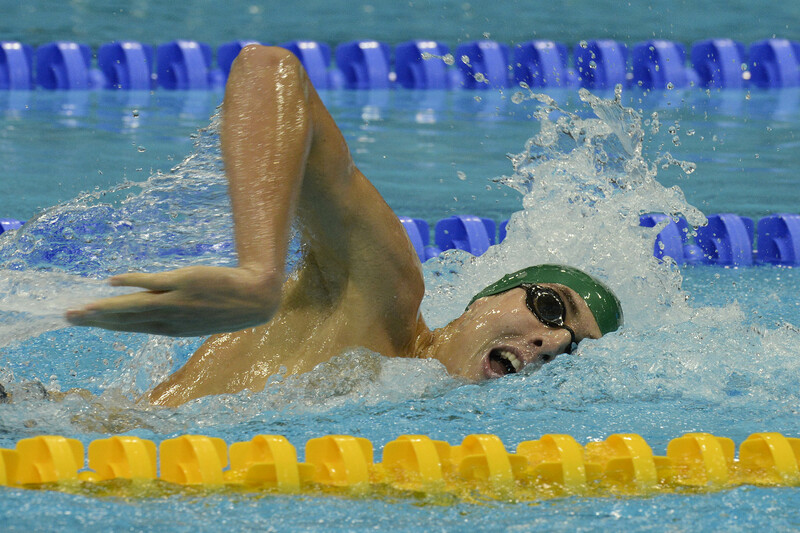 Three-time Paralympian swimmer Charl Bouwer is the latest ‘casualty’ from the team of 2012 who won’t be part of the Rio equation. The visually impaired Kimberley based swimmer has hung up his costume and swopped the swimming pool for the business pool. That means he joins a list of high profile athletes who won’t be in Rio. Fellow swimmer and Paralympics legend Natalie du Toit called it quits after the London games while track athlete Oscar Pistorius was found guilty of culpable homicide and is still involved in a protracted legal battle. Fact of the matter is that of the 29 medals won by the SA Paralympians in London, more than a third were won by this trio of athletes. The trio won 10 medals in total (six gold and four silvers). So there’s no getting over the fact that the current generation of Paralympic talent are going to have to step up to the plate in a big way. Now 25 years old, Bouwer, who won three medals in London (one gold and two silvers) has been toying with the idea of giving up for some time and the business world is calling him. He told Road to Rio 2016: ‘I came to a point in my life where I realised that I have to start focusing on the bigger picture in life. I simply can’t swim for ever and then ask myself the day when I stop ‘what will I do now?’. ‘I’m very privileged to have parents who have also taught me a lot in life and who are great mentors. I’ve started my own business here in Kimberley where I manufacture tombstones and table tops. My products are a lot cheaper than granite and is therefore more affordable for the average guy on the street. But Bouwer was quick to thank all those behind his impressive career that saw him swimming at the Athens, Beijing and London Paralympics. ‘I must say I’ve had great coaches in my life. Pierre de Roubaix is the coach I respect the most in life and I’ve have learned a lot from him. Not only in the swimming pool but in life itself. ‘The years I trained at Maties with Pierre must have been the hardest training I have ever done. Some weeks we swam between 80 to 100 kilometres. For someone coming from a small place like me, that took some getting used to. Thankfully Pierre and Heerden Herman [himself an Olympic swimmer] was there to help me get used to all of that. I’ve learned so much in my life from the sport and without my swimming I don’t think I’d be the same person I am today. For the rest of my life I’ll always look back at my swimming and I think it will help me in my life.